When White began to look at to those structures above the tongue, in other words in the head, that could possibly produce sound he found quite a different story. Frontal: in the forehead (frontal bone) above the eyes. Maxillary: under the eyes inside each cheekbone (maxillary bone). Sphenoid: in the sphenoid bone behind and above the nose, below the brain. Ethmoid cells: A group of small interlinked cavities behind the bridge of the nose (between the eyes). The sinuses are formed by a process that eats away the initially solid bone of the skull to create air-filled spaces lined with a thin layer of mucus-producing cells (the same kind of cells that line the inside of the nose). The process is a long one that starts before birth and continues through childhood into early adult life. Everyone shares the same general arrangement of the sinuses, but their size and shape is unique to the individual, rather like a fingerprint – which could neatly explain why everyone’s voice is unique too. The variations between people can be very large. For example, the sphenoid sinus can take up as little as 5% or as much as 67% of the sphenoid bone. There are also some general differences between the sexes and between different races. The fact that the sinuses are all interconnected allows stale air from them to be taken to the outside while breathing out, and the mucus they produce to be got rid of by blowing the nose. What are the sinuses for? When White started his researches on the voice the head sinuses were a bit of a medical mystery. Why were they there? What did they do? Some had suggested they are there to make the skull lighter (and therefore less effort to balance on the neck); others thought they insulate the sensitive roots of the teeth and the eyes from large changes in the outside air temperature that would otherwise be transmitted straight through the nose; still others suggested that they moisten and warm the air that is breathed in. A more recent idea is that they improved early man’s sense of smell and therefore helped him to avoid danger. Any or all of these theories might be true. On the other hand there have always been those who believe they never had any use, and are just there because they are there. White decided that whatever else they might do, the most important function of the sinuses was to produce the voice. They would do this by functioning very like a Helmholtz resonator. These resonators are a lot less complicated than they sound. If you’ve ever created a note by blowing across the neck of an empty bottle you will know in general how they work. For Helmholtz resonators (named after the German scientist who first described them mathematically) are simply containers filled with air that have a hole or neck that connects the container to the outside. Because air (like any other gas) has a ‘springy’ quality, when the air at the top of the hole or neck is set moving, for example by blowing across it, the molecules of air inside the container start to bounce around (resonate) and the resonating air produces a sound. The note that is produced depends on the size of the container and the size of its connection with the outside. Long before Helmholtz worked out the physics of how these resonators work, the principle had been used in musical instruments. Two very ancient ones are the ocarina and the African djembe drum (pronounced jem-bay). 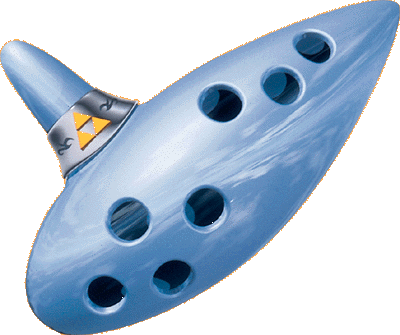 The ocarina consists of an oval-shaped body with different-sized holes in it and a mouthpiece that the player blows into. By covering and uncovering the various holes with their fingers, the player can play different notes. 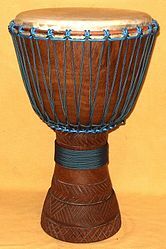 In the djembe the bottom part of the drum is the resonator and the air in it is set in motion by hitting the drum skin. Violins and guitars also produce some of their sound by acting as Helmholtz resonators. White therefore reasoned that when the breath, which is essentially a moving column of air, passes across the entrances to the sinuses it causes the air within the sinuses to resonate and sound is produced as a result. 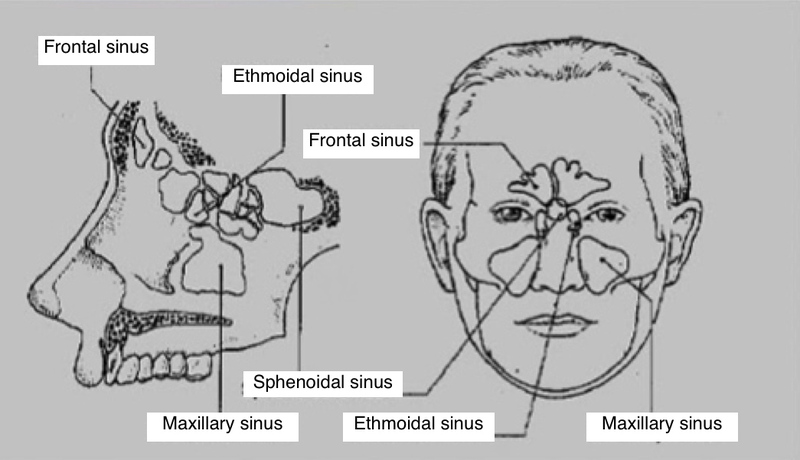 Essentially (though it is more complex than this) the different sizes of the sinuses account for the different notes (tones) in the voice: the highest notes are produced by the smaller frontal sinuses and the lowest by the larger sphenoid sinuses. But aren’t the sinuses too small to produce the human voice? Critics of White’s theory argue that the sinuses are far too small to produce the full range of the human voice, which in some skilled singers can be three or even four octaves. For example, the average dimensions of a sinus are 2 or 3 inches, while on an organ a 4-foot-long pipe is needed to produce a sound equivalent to the lowest note a man with a deep bass voice can sing. ‘Stopping’: If an organ pipe is stopped (i.e. blocked up) at one end, the note it produces is an octave lower than the one it produces if it is open at both ends. The sinuses can be thought of as essentially blocked tubes, so will produce notes that are lower than expected for their size. Coiling: In brass instruments such as the French horn, a long vibrating column of air in the instrument’s tubes is packed into a small space by coiling the tubes up. Some of the sinus cavities have complicated structures with internal divisions, and these divisions could act in the same way as coils to produce lower notes than expected for their size. The ethmoid cells, for example, although only about the size of a matchbox, are divided into about 20 different cavities, in a structure that is one of the most complex in the entire body. Linkage: The sinuses are linked both to the other sinuses and, via their openings into the nose, with the mouth and even the throat. Because the sinuses are linked, and the bony walls between them are in places only paper-thin, it is also possible for sound to be transmitted from one sinus to another through their walls. And because they are linked with the mouth, the overall size of the resonating cavity available to produce the voice could be greatly increased if it included the mouth as well.